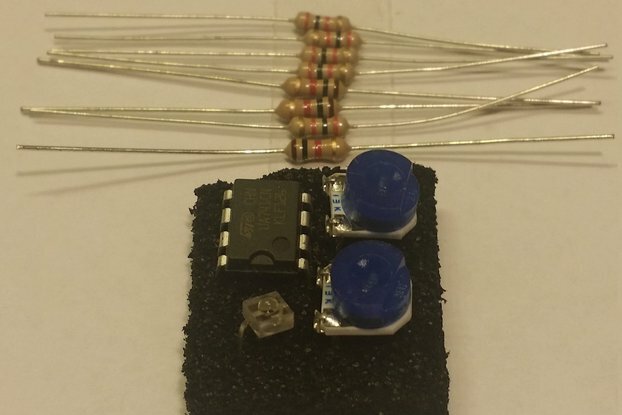 This pack provides you with six miniature normally-open pushbuttons that will directly plug in to your breadboard circuit. The legs are a bit long, but can easily be cut down to the proper length with a wire cutter or even a pair of scissors. 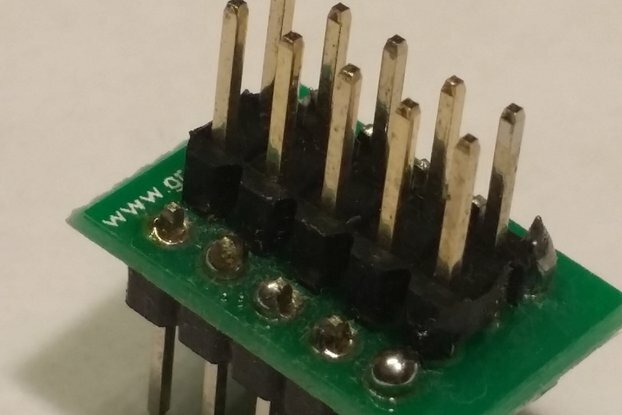 The 0.2" spacing of the pins allows them to be used with standard DIP breadboards, or they may easily be used in your own printed circuit boards. There is also a third, ground, pin, which may be grounded or may be ignored. What is a pushbutton switch? A switch is a controllable break in a circuit which will allow current to flow, or stop flowing. A pushbutton switch will make, or break, the circuit while the button is pressed. These pushbuttons are known as NO, or Normally-Opened; the circuit is opened (no current can flow) until the button is pressed. When pressed, the switch will close allowing current to flow, until the button is released. 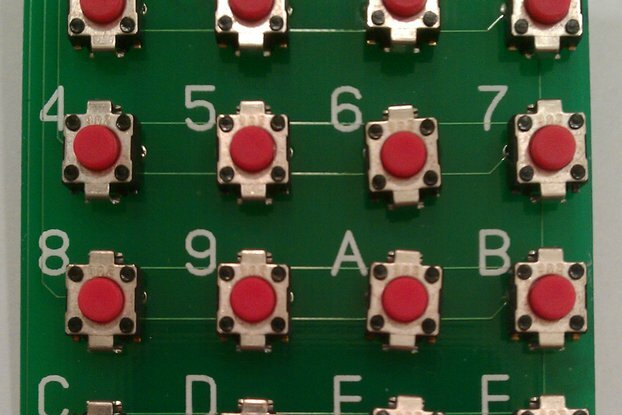 You can use a pushbutton to turn an LED on and off. 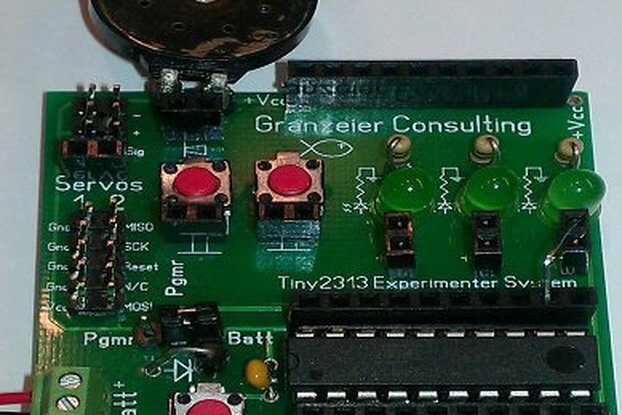 Using a breadboard (http://projects.granzeier.com/what-is-a-breadboard/ - use the LED/Resistor circuit towards the end of the article) replace the red wire at the top of the breadboard with one of these pushbutton switches. 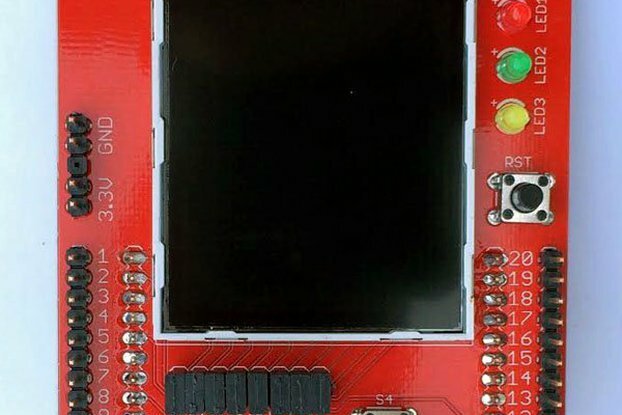 With this modification, the LED will light up only while you are pushing the button. If you want your computer, or controller, to sense when the button is being pushed, place the switch between ground and an input pin. Most controllers have a pull-up resistor in the port, if yours does not, then tie a 10K ohm resistor from the I/O pin to +Vcc. With this arrangement, your controller will read a 0 on the input pin when ever someone pushes the button, and a 1 when the button is not pushed.